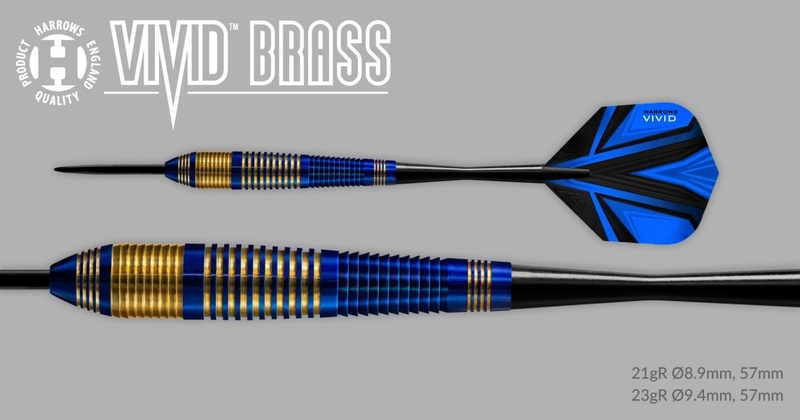 Steeltip darts are available in 21gR, 22gR, 23gR, 24gR, 25gR and 26gR. 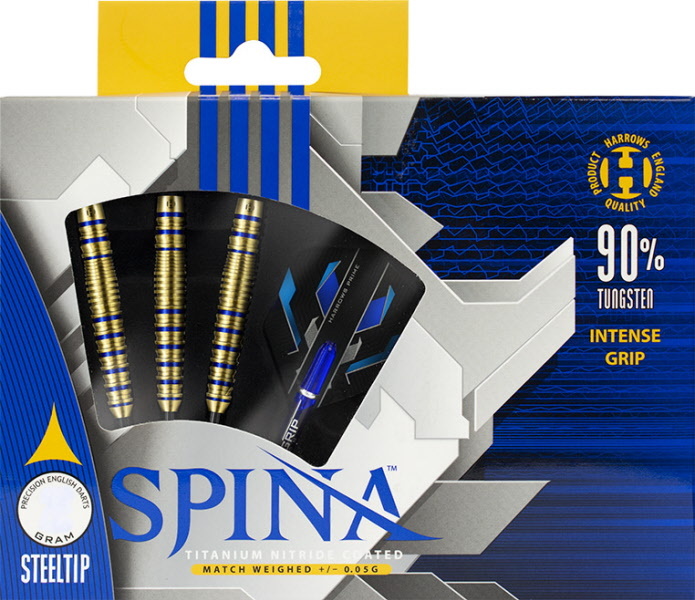 Softips are available in 18gR and 20gR. 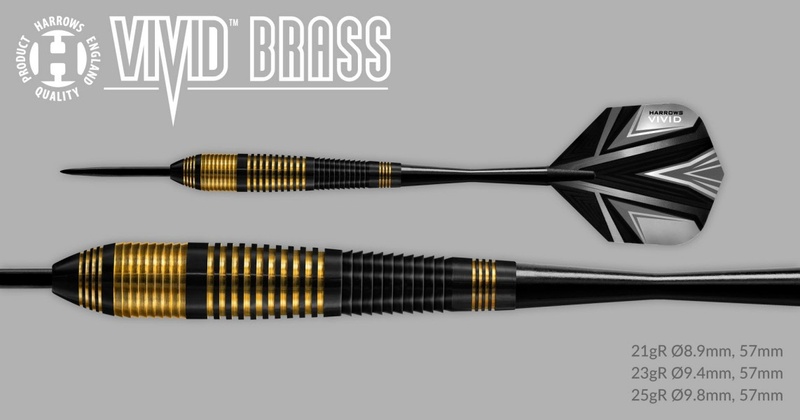 Steeltip darts are available in 21gR, 22gR, 23gR, 24gR, 25gR, 26gR, 28gR and 30gR. 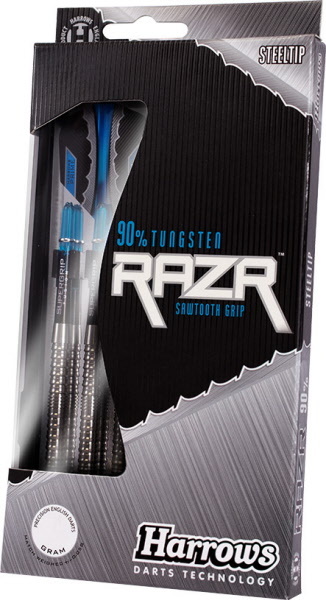 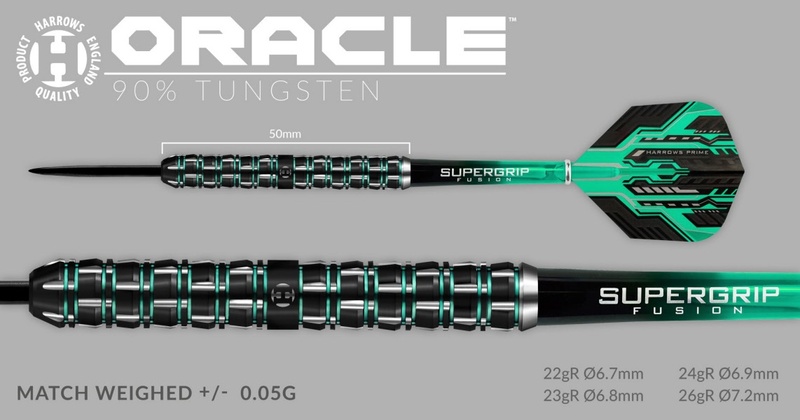 Softip darts are available in 18gR and 20gR. 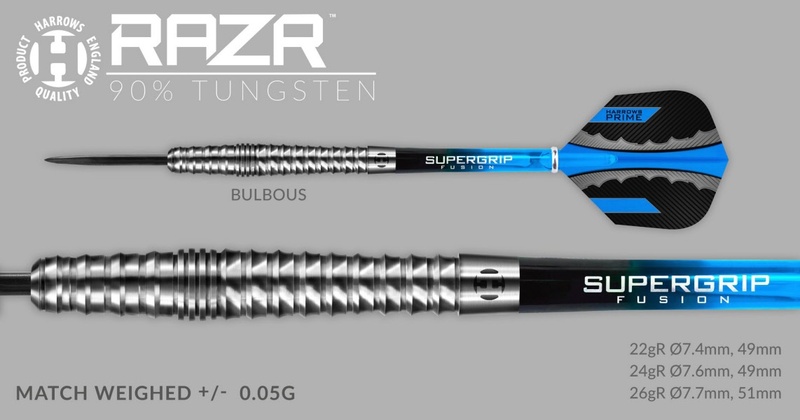 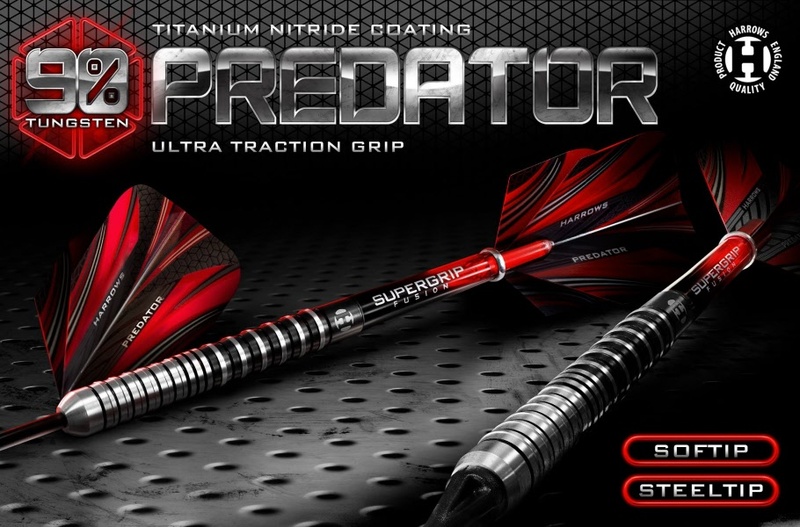 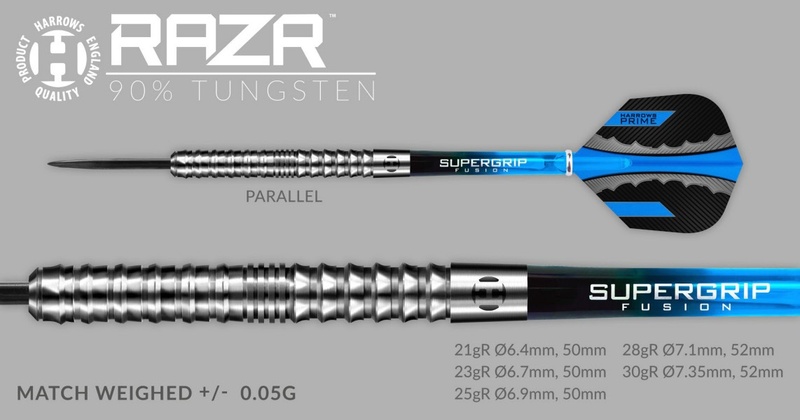 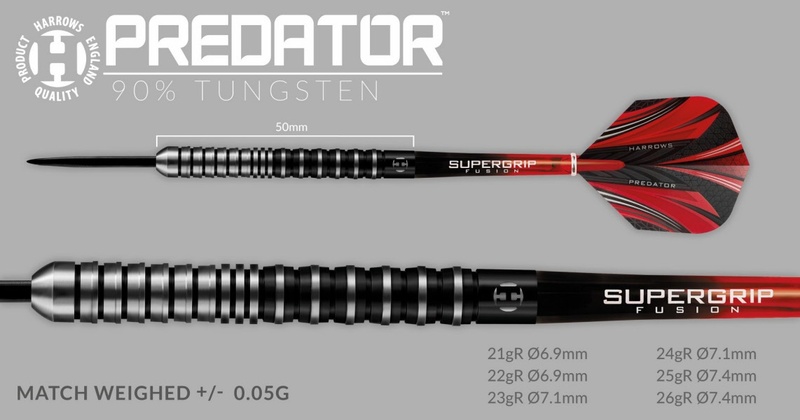 The darts are match weighed to +/- 0.05 grams and fitted with Clear Midi Supergrip Fusion shafts and new Prime flights. 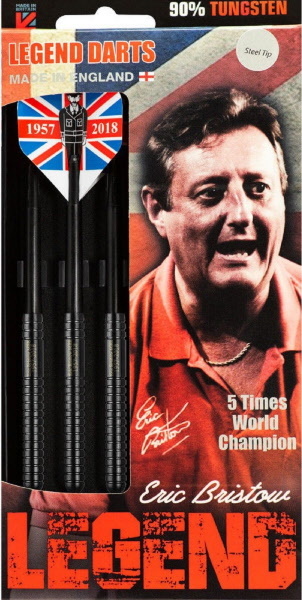 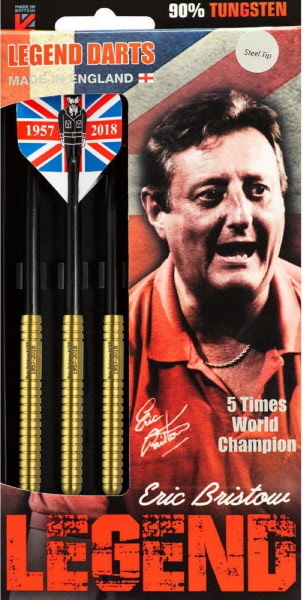 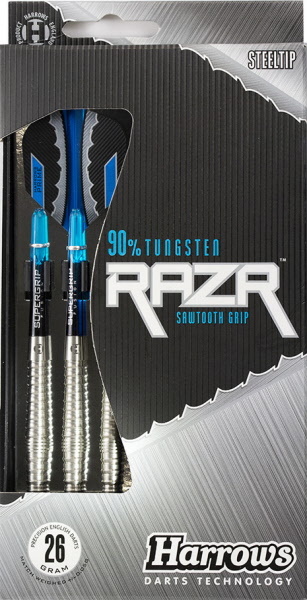 As the name suggests, these darts are available in four vivid colours; Blue, Red, Green and Black. 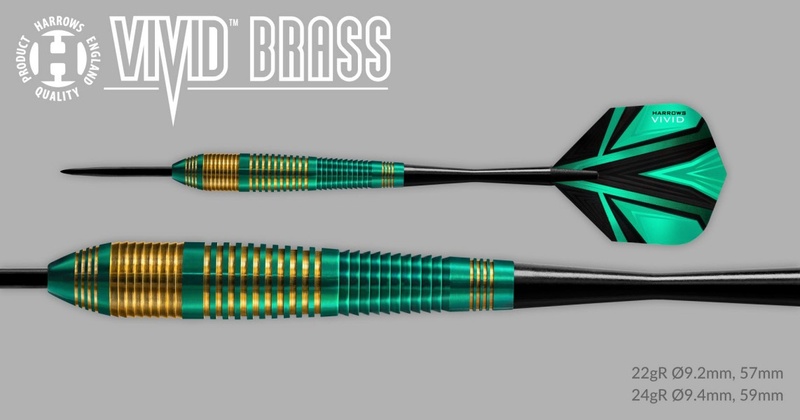 The darts are carefully machined, then coated in a nitro-lacquer before being re-cut to give that eye-catching brass/colour contrast. 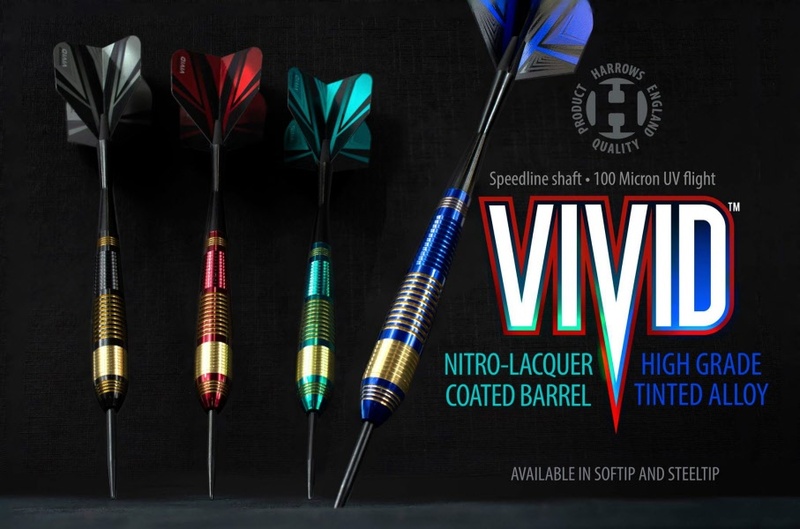 Steeltip darts are available in 21gR, 22gR, 23gR, 24gR and 25gR. 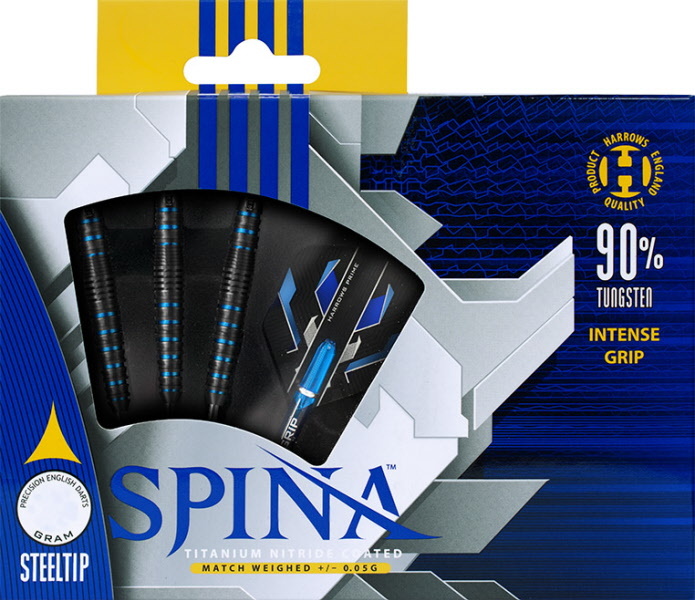 Softip is available in 18gR. 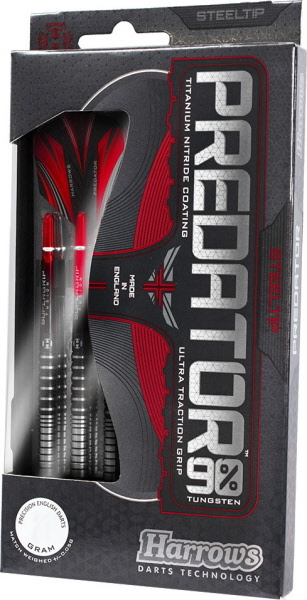 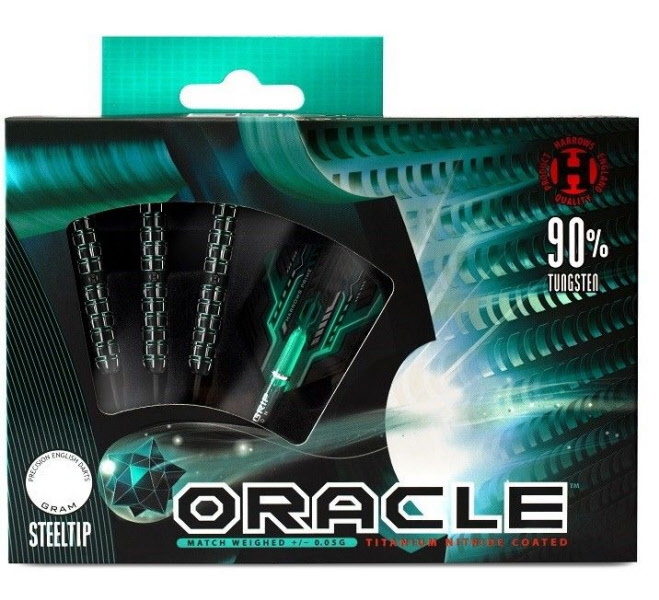 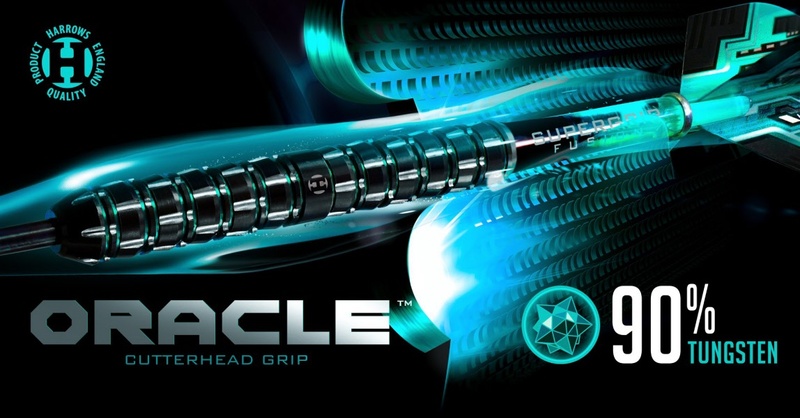 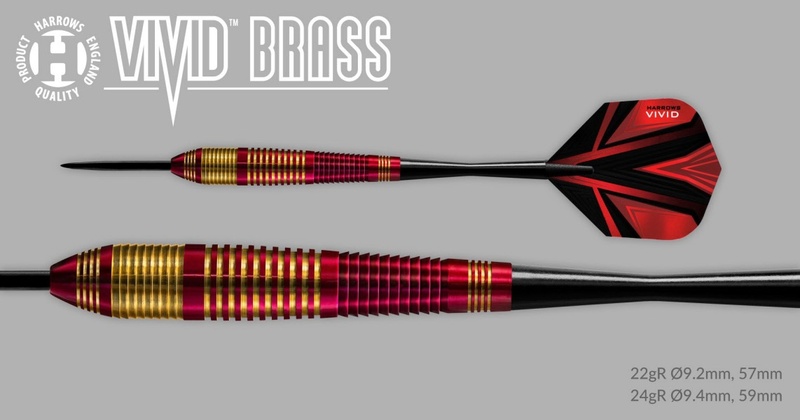 The darts are fitted with Black Speedline shafts and new Vivid flights. 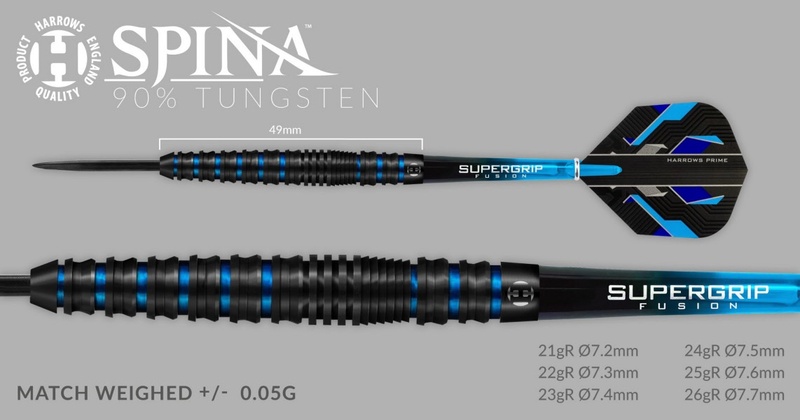 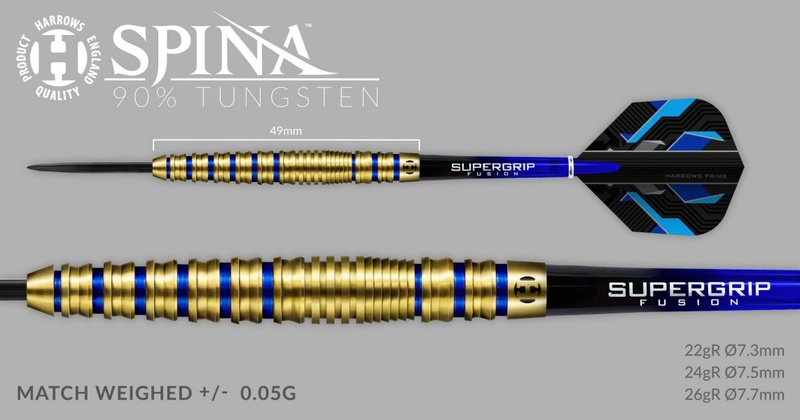 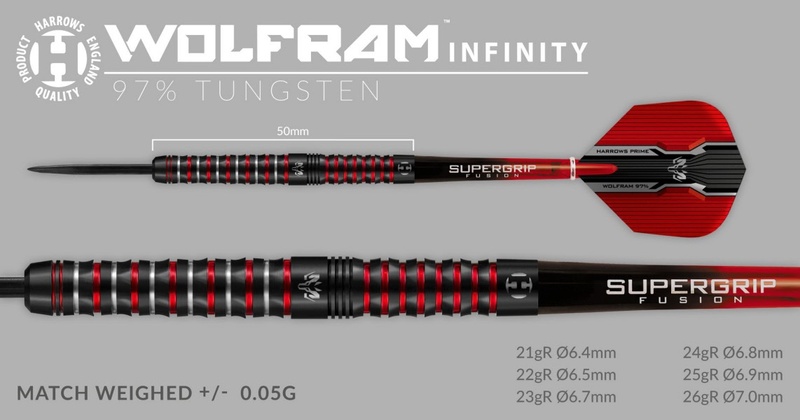 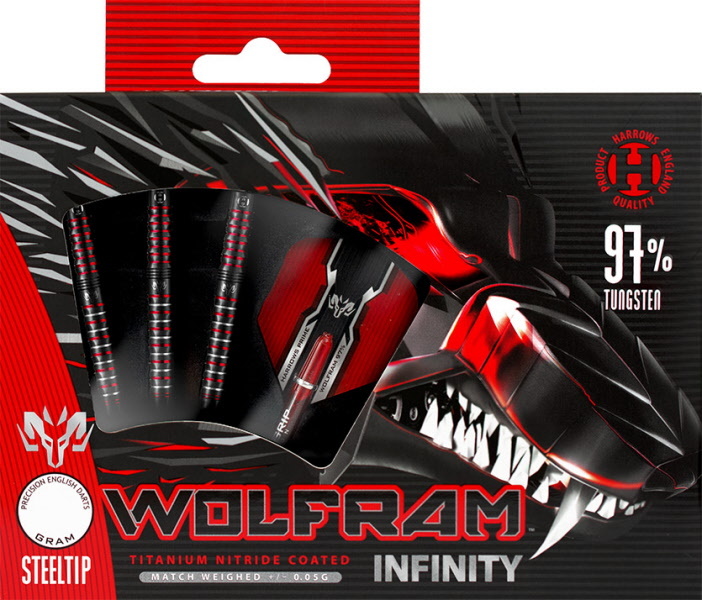 Wolfram Infinity 97% darts are supplied with Black/Red Midi Supergrip Fusion shafts, new Prime flights and spare laser engraved points (steeltip only) and are match weighed to +/- 0.05 grams.